Fabulous Masterpieces was asked to paint a fine art reproduction oil painting of The Great Wave by Hokusai for customers in Australia but with a twist. 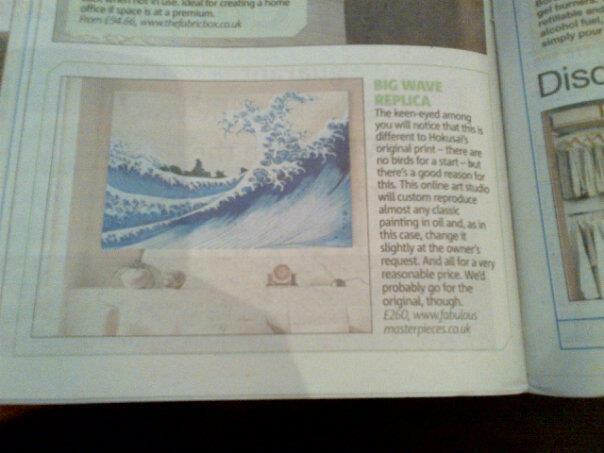 We were asked to paint a fine art reproduction of The Great Wave using two different paintings by Hokusai. The artist was asked to base the art reproduction on the painting below with the golden sky, called A Coloured Version of the Big Wave (minus the birds) but use the colours seen in Hokusai’s The Great Wave. We’ve just been sent an insitu photograph of the finished fine art replica and I thought I’d show you what it looks like. The Great Wave by Fabulous Masterpieces. The Great Wave by Japanese artist, Hokusai was originally a wood block print. The Great Wave was actually the first in a series of 36 views of Mount Fiji and is not only Hokusai’s most famous work but arguably one of the most recognized works of Japanese art in the world. The original wood cut of Hokusai’s The Great Wave is actually quite small, it only measures 25.4 cm x 37.1 cm and can be found at the Hakone Museum in Japan. 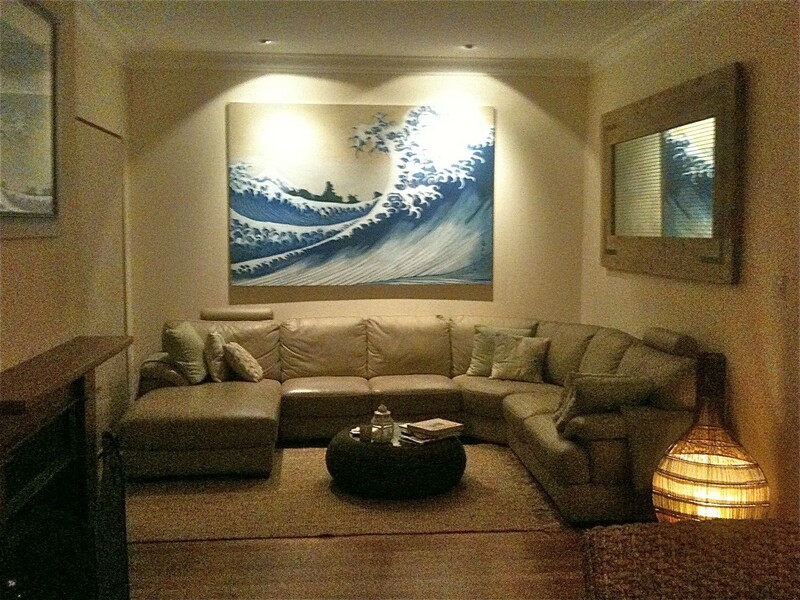 Fabulous Masterpieces‘ art reproduction of The Great Wave, which you can see in the photo, was made-to-measure to fit the client’s wall space and measured 220 cm x 151 cm. Hokusai (1760 – 1849) loved to depict water in motion and in this seascape, even though it’s stormy, the sun is shining. It is a lovely painting! Would you like to know about The Great Wave by Hokusai? 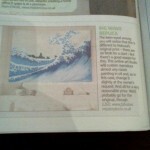 Would you like to commission a fine art reproduction oil painting of The Great Wave? If you would like to commission an art reproduction of your favourite painting or ask a question please get in touch or leave a comment. We’d love to hear from you! Fabulous Masterpieces is the premier UK art reproduction company. Curious to learn more about us? Then please visit the Fabulous Masterpieces About Us page. That’s such a great painting! This is our artwork and we were mightily impressed !! Not only by what the Fabulous Masterpeice’s artist was able to achieve but the price compared to an Australian reproduction and the after sales service was second to none. I highly recommend using their service, you can guarantee they will get it right, no matter what and as you can tell they have interpreted our brief perfectly. Thanks Tim ! !